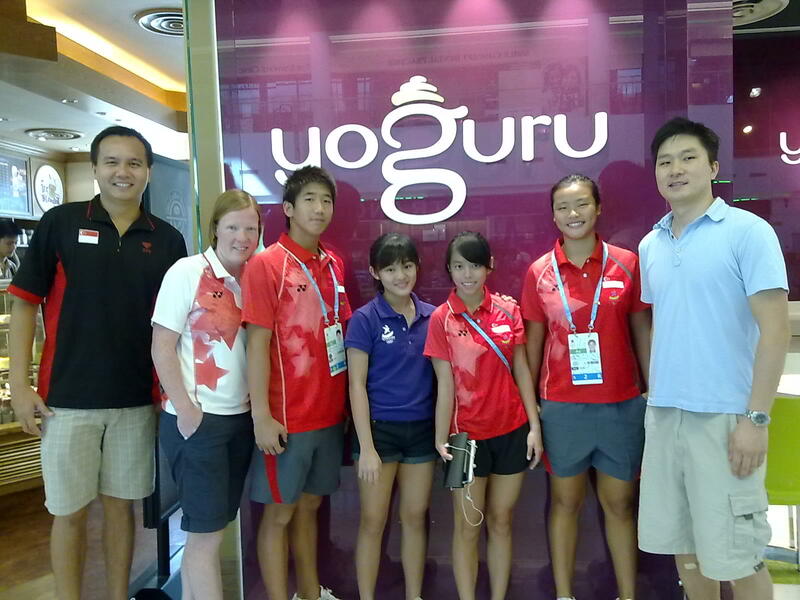 Our YOG Team Singapore Divers took timeout from their intensive YOG training to unwind with a savoury treat of yoghurt at the Yoguru’s flagship outlet at Kallang Leisurepark. Yoguru is a supporter of Singapore Diving and has generously provided all our national divers with complimentary yoghurt at its outlets. Yoghurt serves as a healthy, fat free dessert which aids metabolism and improve immune functions. It also promotes weight loss and aids in burning fats, keeping our divers lean while in their pursuit of sporting excellence! ~ by Singapore Diving on August 16, 2010.